Dye sublimation is a process for printing designed themes by injecting colour and imagination into fabric. Chances are you've already got, or seen, sublimated fabric. Industries such as sports, events and fashion rely heavily on this particular style. Not creative? That's ok! It's easy to approach trained professionals who will use their expertise to get your unique design out of your head and into fabric. We will custom make your garment for a minimum of only 20 pieces. With Dye Sublimation, the graphics are computer generated and transferred by printing to dye sublimated paper using special inks which are then transferred through heat and pressure into the fabric to give a unique piece of clothing with the image or pattern embedded forever. The image can be all over from seam to seam, won't fade, crack or fall off. This process ensures that the graphics are permanent and never lose their vibrancy. 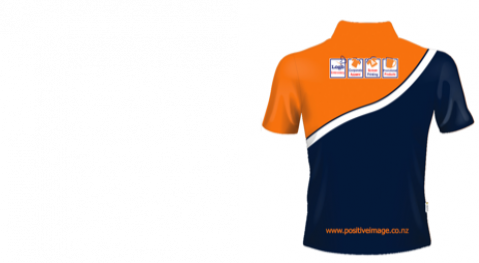 Dye Sublimated sports uniforms and apparel are popular as you can uniquely have any logo designs, patterns, numbers, names or sponsors printed onto your garments using a fantastic range of colours and techniques. Depending on the individual client needs, we have a variety of different fabrics to chose from. All sublimated garments will be white on the inside as the ink is on the outside and sublimation doesn't work on dark garments. Sending us your digital artwork is quick, easy and helps us meet your needs faster. To upload your artwork please click the link below, then log-in or create a positive image website account. All information supplied is kept strictly confidential and only used by us for replying to your inquiries. The maximum upload file size is 2 megabytes. (Call if larger). Please do not hesitate to contact us should you have any questions or issues.